Product Note: The limited edition poster has SOLD OUT as of May 3, 2018. 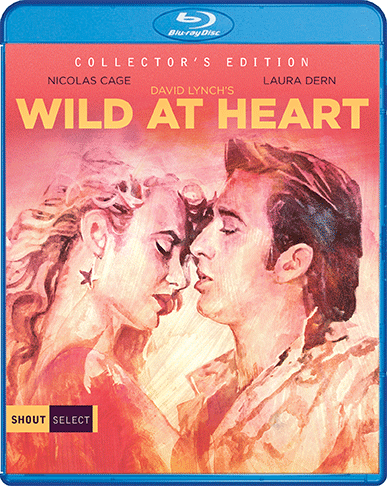 Virtuoso filmmaker David Lynch (Twin Peaks, Blue Velvet) brings his singular vision to the screen once more with Wild At Heart, an incendiary tale of love, violence and snakeskin jackets. 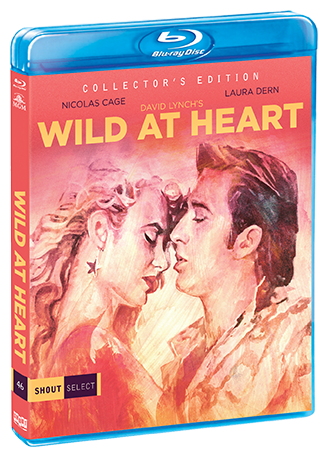 Adapted from the novel by Barry Gifford, Wild At Heart stars Nicolas Cage (Leaving Las Vegas, Adaptation) and Laura Dern (Inland Empire, Jurassic Park) as Sailor and Lula, a pair of young lovers on the run from Lula's mother Marietta (Dern's real-life mother Diane Ladd, in an Academy Award®-nominated role). Sailor and Lula's journey takes them into the dark heart of America, where dangers and temptations lurk ... and where only their love can truly protect them. But even their all-consuming passion may not withstand the sinister presence of Bobby Peru (Willem Dafoe in an unforgettable performance).